Happy Monday everyone! I hope your week’s getting off to a good start ♡ I think many of us will put off certain things that fall in to our paths because instead of thinking about all of the great and positive things that could come of out it, we’ll run through each and every single possibility of failure, myself included. In my last quote of the week I spoke about choosing to follow my dreams. A big part of me not doing certain things throughout my life has been because of the above thought process. What if I do badly, what if -insert name here- doesn’t agree, what if I hate it.. 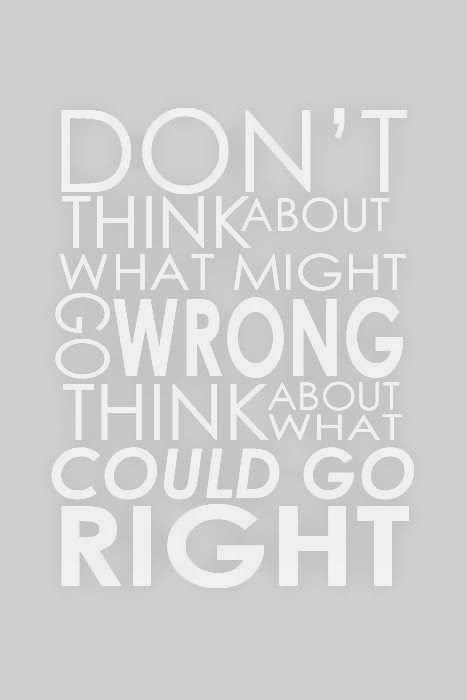 When really, the important thing to do is to think of all the wonderful things that could happen! So let this be a promise to myself to start and to continue to always think about the positive outcomes of a situation and discard the negative ones! Who’s with me?